Green means okay, red means stop. 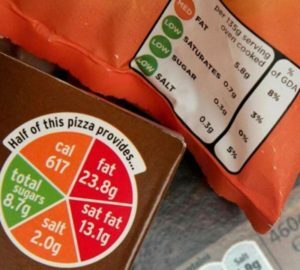 An actual ‘traffic-light’ system, which has been applied to food labels in the UK and France, could soon become a European standard promoted by multinational companies. Food is classified according to a score expressed in letters and associated with a colour from dark green to bright red. Proteins and fibre are classified as ‘good’ components, while calories, fat, simple sugars and salt are ‘bad’ nutritional values. However, while on the one hand this type of labelling would make things easier for consumers, confused by the long and complex wording, on the other hand, it might induce them to simplify and therefore make incorrect evaluations. For instance, a litre of milk in the UK is marked with a red label due to the presence of animal proteins, while a soft drink with a sweetener has a green label because of the limited calorie content. Therefore, in the eyes of consumers, a soft drink would seem better and healthier than milk. Another clear proof is extra virgin olive oil. Indeed, there is no distinction between saturated fat, harmful to health, and monounsaturated and polyunsaturated fat, which is instead beneficial. The green gold would be penalised by the traffic light due to its 75% monounsaturated fat content. This is why the Italian Association of Taste Ambassadors, CHIC, Euro-Toques Italy, the Italian Federation of Chefs (FIC), Jeunes Restaurateurs Italy (JRE) and Le Soste have decided to declare themselves in favour of the action of the Italian Minister of Agricultural, Food and Forestry Policies Maurizio Martina, who expressed his firm opposition to the system. The intuitive and yet oversimplified traffic-light system might considerably penalise Italian food excellence in favour of products with a low sugar and fat content, but less healthy.